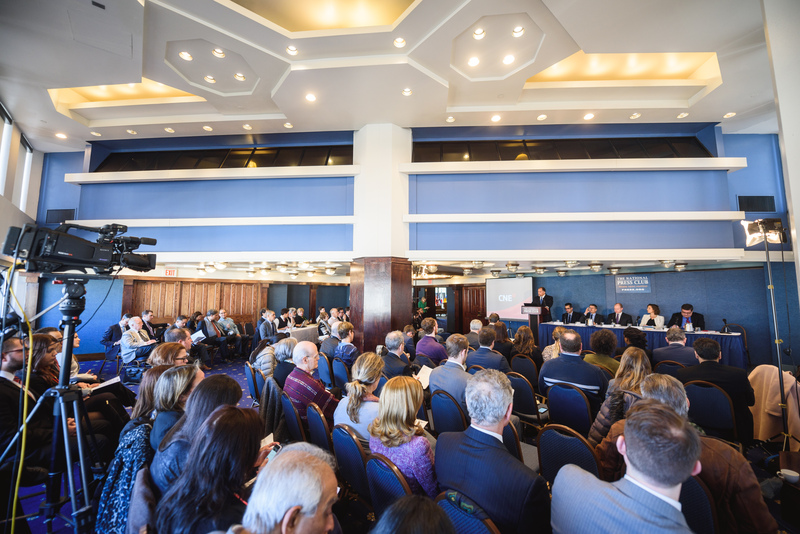 Sparking a New Conversation about Puerto Rico in Washington D.C.
On March 2, 2016, the Center for a New Economy (CNE) broke new ground by hosting the conference “Is a Federal Fiscal Control Board the Only Option for Puerto Rico?” in Washington D.C. The forum sought to generate a balanced discussion on options for achieving fiscal balance for Puerto Rico beyond the current binary debate over the imposition of a federal control board. 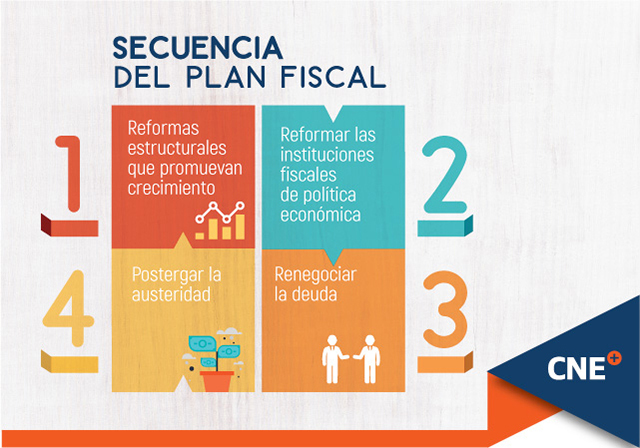 The conference explored the concept of a Fiscal Responsibility Law (FRL) for Puerto Rico as a policy proposal that could lay the groundwork for the stabilization of Puerto Rico’s public finances and prompt a broad overhaul of Puerto Rico’s fiscal infrastructure. 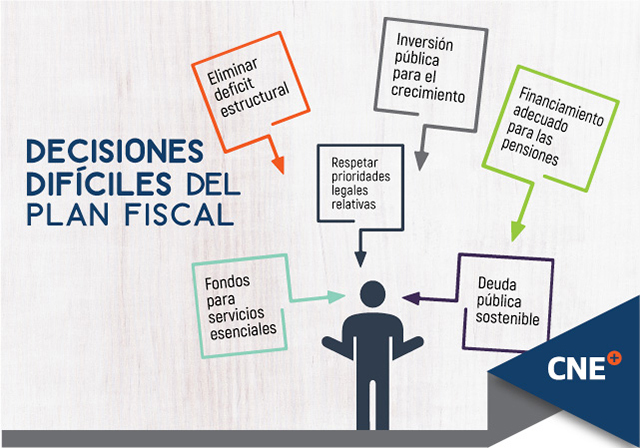 FRLs are mechanisms that allow for the establishment of monitorable fiscal targets and policy reforms. 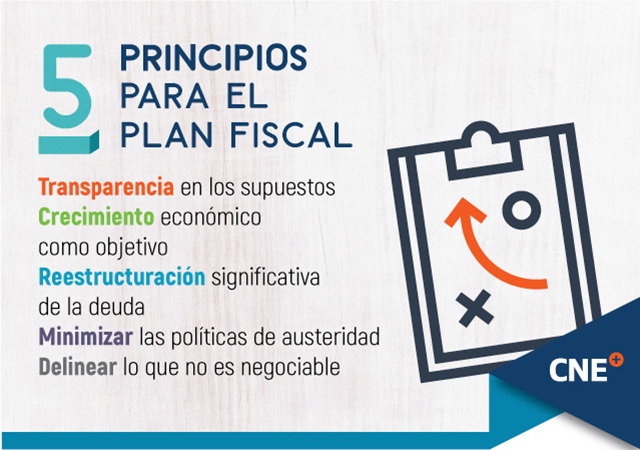 The panel discussed the benefits of enacting and implementing a FRL as the basis for a strong fiscal regime for Puerto Rico, and how it might fit within the broad framework of any federal policy that addresses the island’s current fiscal and economic crisis. Miguel A. Soto-Class, President of CNE, introduced the discussion stressing that solutions to the Puerto Rico crisis need to have legitimacy within the island and seek to rebuild its fiscal institutions for the long-term. Andrés Velasco, Former Finance Minister of Chile and Professor at Columbia University’s School of International and Public Affairs, discussed how Fiscal Responsibility Rules are being successfully applied throughout the world; while Tracy Gordon, Senior Fellow, Urban-Brookings Tax Policy Center, explored how they are applied in the United States and the type of oversight mechanisms with which they interplay. Sergio Marxuach, Policy Director of CNE, discussed how a Fiscal Responsibility Law for Puerto Rico could be designed in order to deal with the current juncture and manage fiscal policy in the long-term; while Gordon Gray, Director of Fiscal Policy at the American Action Forum, cautioned about the challenges such a law would face in the context of Puerto Rico’s current politically charged atmosphere. Puerto Rico’s elected officials, Congressman Pedro Pierluisi, Resident Commissioner for Puerto Rico, and Senator Eduardo Bhatia, President of the Puerto Rico Senate, closed the event, cautioning against externally imposed solutions to the Puerto Rico crisis. If you want to be part of the conversation regarding Puerto Rico’s future, join us, and watch CNE’s DC panel on the link below. Click on the link below to watch the opening remarks of the Center for a New Economy’s forum “Is a Federal Fiscal Control Board the Only Option for Puerto Rico?” delivered by CNE’s President Miguel A. Soto-Class. The event took place on March 2, 2016 at the National Press Club of Washington D.C.
Click “Read more” for the text of the opening remarks. Click on the link below to watch Andrés Velasco’s keynote in the Center for a New Economy’s forum “Is a Federal Fiscal Control Board the Only Option for Puerto Rico?”. Scroll below to download the slides from Mr. Velasco’s presentation and to read a brief biography. Velasco is a former presidential candidate and Finance Minister of Chile, and was also part of the team that negotiated Chile’s commercial agreements with Mexico, Canada and the United Sates. He has taught Development and International Finance at Harvard University, was Director of the Center for Latin American Studies of New York University, and has published over 100 articles and four books on international economics and development. Velasco holds a Ph.D. in Economics from Columbia University and a Post-Doctoral Degree in Political Economy in Harvard University and the Massachusetts Institute of Technology. Click on the link below to watch Sergio Marxuach’s remarks in the Center for a New Economy’s forum “Is a Federal Fiscal Control Board the Only Option for Puerto Rico?”. The event took place on March 2, 2016 at the National Press Club of Washington D.C. Scroll below to read a brief biography of Mr. Marxuach. Prior to joining CNE, Marxuach served as Deputy Secretary of Commerce and Economic Development, and as Special Assistant to the Executive Director of the Office of Management and Budget for the Commonwealth of Puerto Rico. Before joining the Commonwealth government, he was an associate in the New York City law firm of Curtis, Mallet-Prevost, Colt & Mosle LLP, where he structured cross-border capital market transactions and arranged vendor financing and syndicated credit facilities for U.S. multinational firms in Latin America. Mr. Marxuach has a B.A. in Economics and Political Science from Yale University. He also has a Juris Doctor degree from the Georgetown University Law Center and a Master of Science in Foreign Service from the Graduate School of Foreign Service at Georgetown University. Click on the link below to watch Tracy Gordon’s remarks in the Center for a New Economy’s forum “Is a Federal Fiscal Control Board the Only Option for Puerto Rico?”. The event took place on March 2, 2016 at the National Press Club of Washington D.C. Scroll below to download the slides from Ms. Gordon’s presentation and to read a brief biography. Urban-Brookings Tax Policy Center, Washington D.C.
Gordon researches and writes about fiscal challenges facing state and local governments, including budget tradeoffs, intergovernmental relations, and long-term sustainability. Before joining Urban, she was a Senior Economist with the White House Council of Economic Advisers. She was also a member of the District of Columbia Tax Revision Commission, a fellow at the Brookings Institution, an assistant professor at the Maryland School of Public Policy, and a Fellow at the Public Policy Institute of California. Gordon currently serves on the board of trustees for the American Tax Policy Institute and is a member of the District of Columbia Infrastructure Task Force. She holds a Ph.D. in Public Policy with a concurrent M.A. in Economics from the University of California, Berkeley. Click on the link below to watch Gordon Gray’s remarks in the Center for a New Economy’s forum “Is a Federal Fiscal Control Board the Only Option for Puerto Rico?”. The event took place on March 2, 2016 at the National Press Club of Washington D.C. Scroll below to read a brief biography of Mr. Gray. American Action Forum, Washington D.C.
Gordon joined the Forum after serving in a series of congressional and campaign positions. Most recently he served as Senior Policy Advisor to Senator Rob Portman, and also served as Policy Director during Senator Portman’s campaign. Prior to joining the campaign, he was a professional staff member for the Senate Budget Committee, and before that was Deputy Director of domestic and economic policy for Senator John McCain’s presidential campaign. He also spent several years with the American Enterprise Institute.